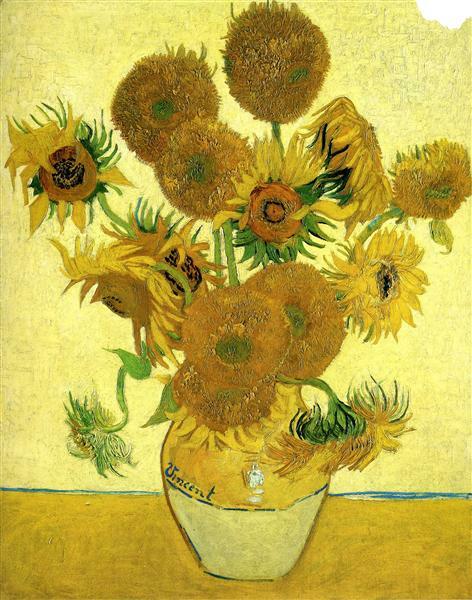 The Starry Night is an oil on canvas by the Dutch post-impressionist painter Vincent van Gogh. Painted in June 1889, it depicts the view from the east-facing window of his asylum room at Saint-Rémy-de-Provence, just before sunrise, with the addition of an idealized village. The Starry Night is regarded as among Van Gogh's finest works, and is one of the most recognized paintings in the history of Western culture. It has been in the permanent collection of the Museum of Modern Art in New York City since 1941, acquired through the Lillie P. Bliss Bequest. 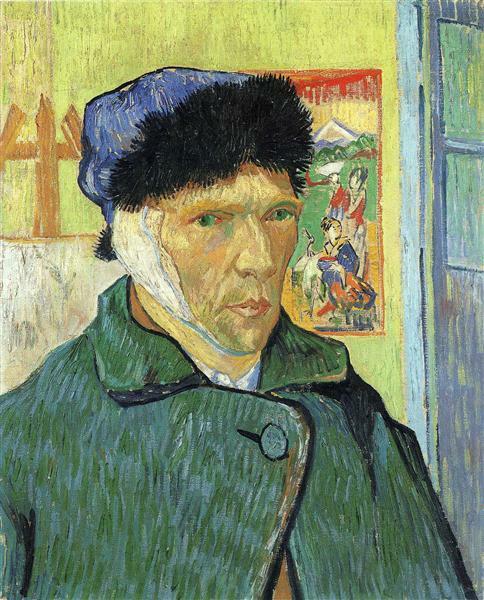 In the aftermath of the 23 December 1888 breakdown that resulted in the self-mutilation of his left ear, Van Gogh voluntarily admitted himself to the Saint-Paul-de-Mausole lunatic asylum on 8 May 1889. 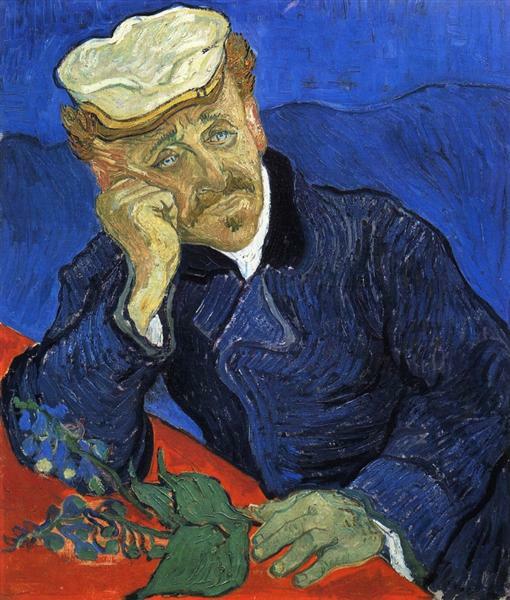 Housed in a former monastery, Saint-Paul-de-Mausole catered to the wealthy and was less than half full when Van Gogh arrived, allowing him to occupy not only a second-story bedroom but also a ground-floor room for use as a painting studio. 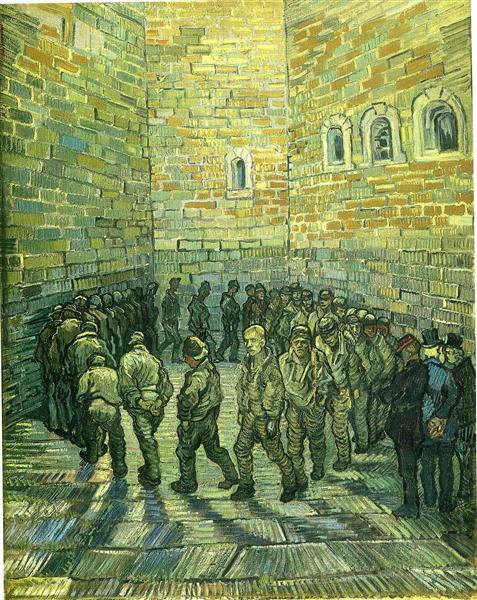 During the year Van Gogh stayed at the asylum, the prolific output of paintings he had begun in Arles continued. 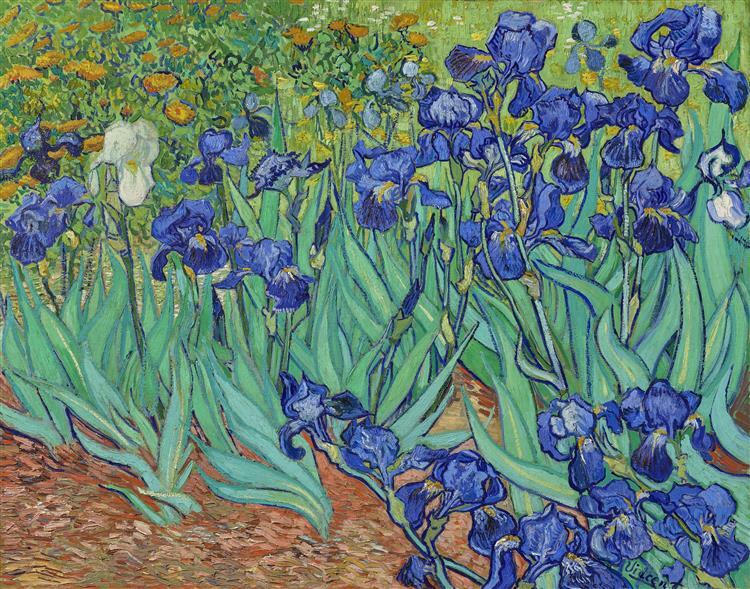 During this period, he produced some of the best-known works of his career, including the Irises from May 1889, now in the J. Paul Getty Museum, and the blue self-portrait from September, 1889, in the Musée d'Orsay. 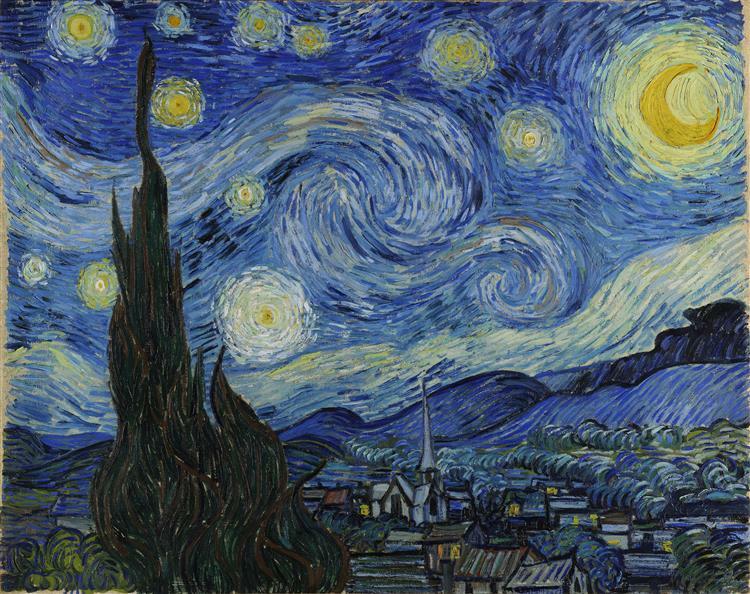 The Starry Night was painted mid-June by around 18 June, the date he wrote to his brother Theo to say he had a new study of a starry sky. 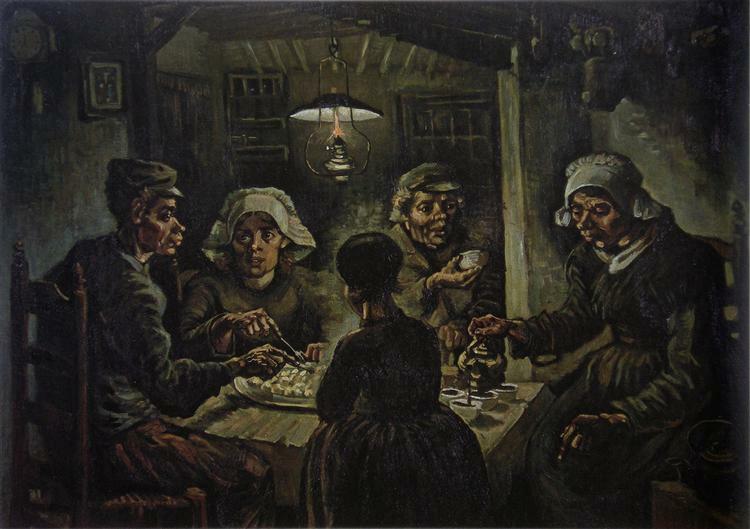 Although The Starry Night was painted during the day in Van Gogh's ground-floor studio, it would be inaccurate to state that the picture was painted from memory. 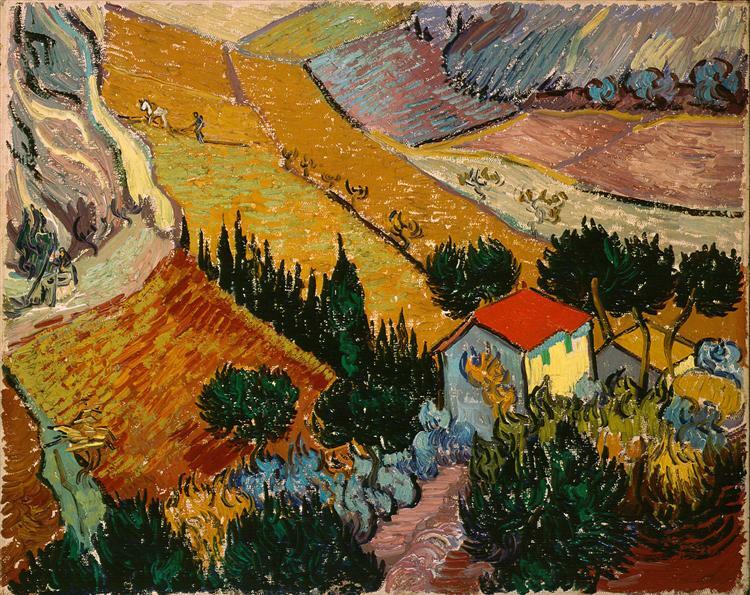 The view has been identified as the one from his bedroom window, facing east, a view which Van Gogh painted variations of no fewer than twenty-one times, including The Starry Night. 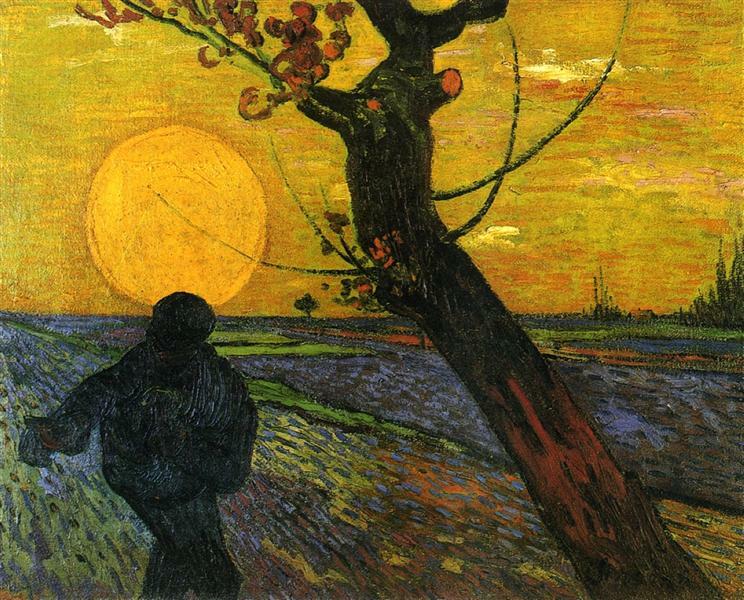 "Through the iron-barred window," he wrote to his brother, Theo, around 23 May 1889, "I can see an enclosed square of wheat . . . above which, in the morning, I watch the sun rise in all its glory." Van Gogh depicted the view at different times of day and under various weather conditions, including sunrise, moonrise, sunshine-filled days, overcast days, windy days, and one day with rain. While the hospital staff did not allow Van Gogh to paint in his bedroom, he was able there to make sketches in ink or charcoal on paper; eventually he would base newer variations on previous versions. The pictorial element uniting all of these paintings is the diagonal line coming in from the right depicting the low rolling hills of the Alpilles mountains. In fifteen of the twenty-one versions, cypress trees are visible beyond the far wall enclosing the wheat field. Van Gogh telescoped the view in six of these paintings, most notably in F717 Wheat Field with Cypresses and The Starry Night, bringing the trees closer to the picture plane. One of the first paintings of the view was F611 Mountainous Landscape Behind Saint-Rémy, now in Copenhagen. Van Gogh made a number of sketches for the painting, of which F1547 The Enclosed Wheatfield After a Storm is typical. 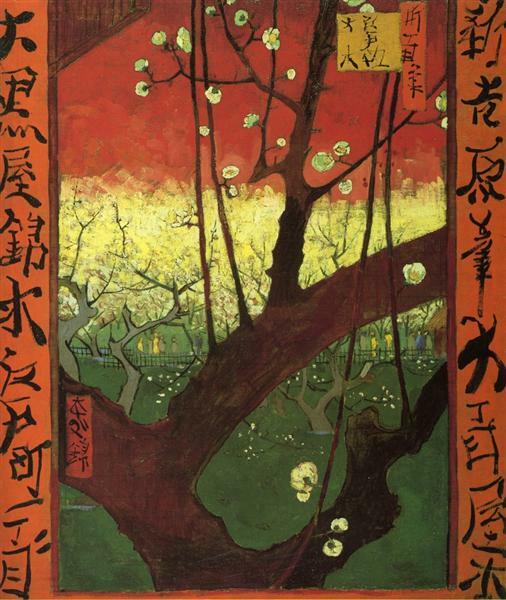 It is unclear whether the painting was made in his studio or outside. In his June 9 letter describing it, he mentions he had been working outside for a few days. 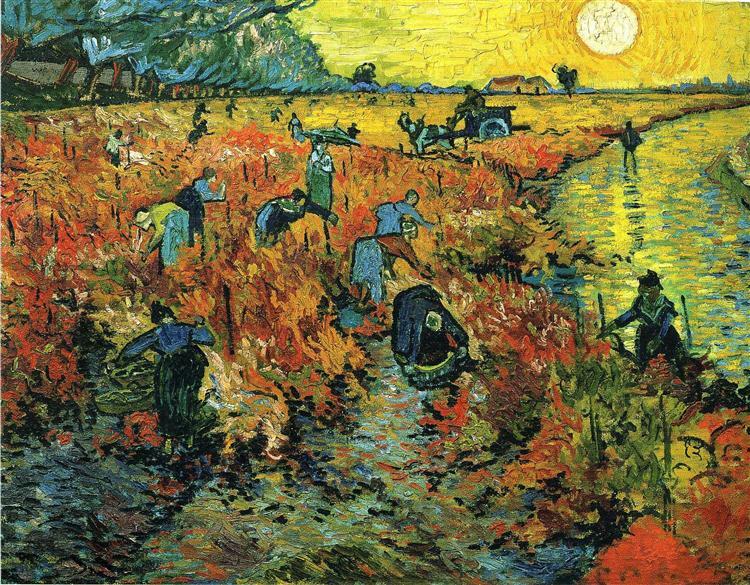 Van Gogh described the second of the two landscapes he mentions he was working on, in a letter to his sister Wil on 16 June 1889. This is F719 Green Field, now in Prague, and the first painting at the asylum he definitely painted outside en plein air. F1548 Wheat field, Saint-Rémy de Provence, now in New York, is a study for it. 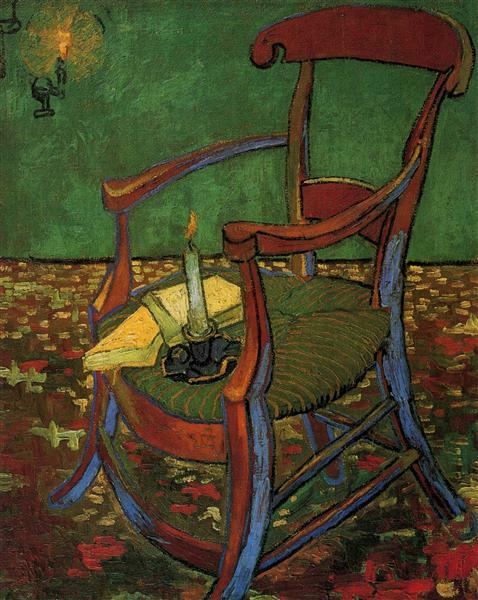 Two days later, Vincent wrote Theo that he had painted "a starry sky".